- NISMO kit car rear spoiler. Buyer gets additional Nissan Micra shell with already fitted in roll cage, and many spare parts (spare engine, gearbox and body parts-too much to list). 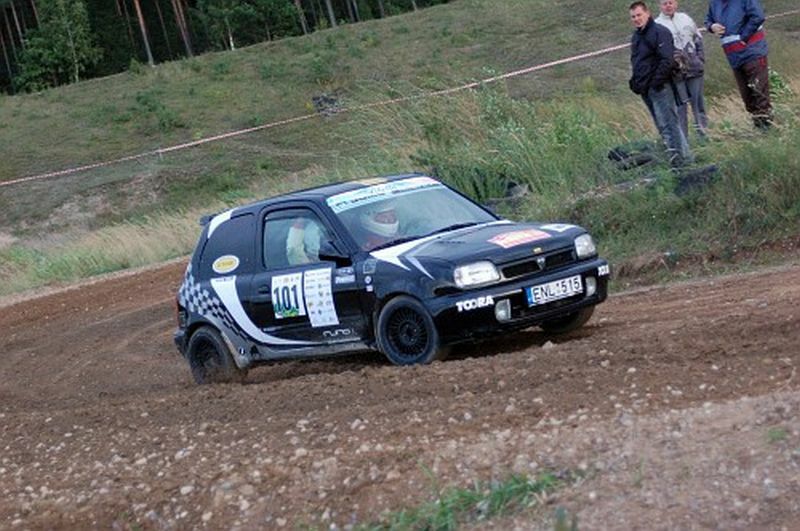 The Micra is very competitive, has won slalom and hillclimb events in S1400, S1600 class. The price for the whole set is 3500 Euro, that makes a very small price compared to the time and work made. Transportation is not a problem, the car is located in Lithuania. Contact Alex on 0037068509176 or email dalex419@yahoo.com, speaks English, and German a little bit.